The last thing we want to hear is that someone has had a fire in their home or business. However, if you have suffered this misfortune, we want to make sure that you get out of it with as little stress, expense, and damages as possible. With our 24/7 fire damage cleanup services, we have helped hundreds of people in the aftermath of a fire. We are IICRC certified, licensed and insured, and have a great reputation for customer service. Just call us and we will send a team to start cleaning up the fire and smoke damage now! We are standing by 24/7. Once the fire is out, you can’t breathe easily yet. In fact, don’t breathe without a respirator on! Fires produce byproducts which linger in the air for days or even weeks after the fire is put out. When items like plastics and wood varnishes were on fire, there can be thousands of different toxins in the air which you may breathe in or can cause irritation to your skin and eyes.For these reasons, we recommend that you always call in certified professionals for fire and smoke damage cleanup services. There are some things you can do right away in the aftermath of a fire: •	Hang tarps or shut doors to isolate the contaminated area. You don’t want all those toxic particulates and smoke going into the rest of your home! •	Open windows or doors to start letting smoke out of the room •	Call for professional cleanup services right away! Fires can cause different types of damage depending on the type of soot and ash (it can be dry or greasy), and each type of damage needs to be cleaned up with a different methods. Our technicians are trained to clean smoke, soot and ash from materials like upholstery, wood, carpets, hardwood floors, linoleum, walls, ceilings, and mattresses (to name just a few). We tackle each job thoroughly to ensure your property is saved and that you get out of the ordeal with as little costly damage as is possible. Many homeowners insurance policies cover the costs of fire and smoke damage cleanup services. When we arrive, our technicians can help you go over your insurance policy, determine whether it makes sense to file a claim (your premiums may go up), take documentation of damages, and even bill your insurance company directly. Don’t wait any longer! 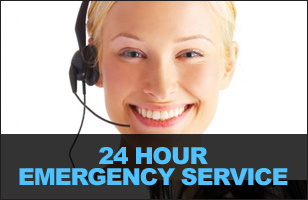 We are available 24/7 for speedy fire and smoke damage cleanup services in Plano, Texas. Plano Water Damage © Copyright 2010. All rights reserved.